Logical Volume Manager (LVM) is a kind of storage virtualization. LVM collects one or more disk drives or partitions, creating a storage pool in a host. Furthermore, LVM provides applications with logical volumes consisting of multiple chunks of disk drives or partitions. Figure 1 shows volume manager implementation. 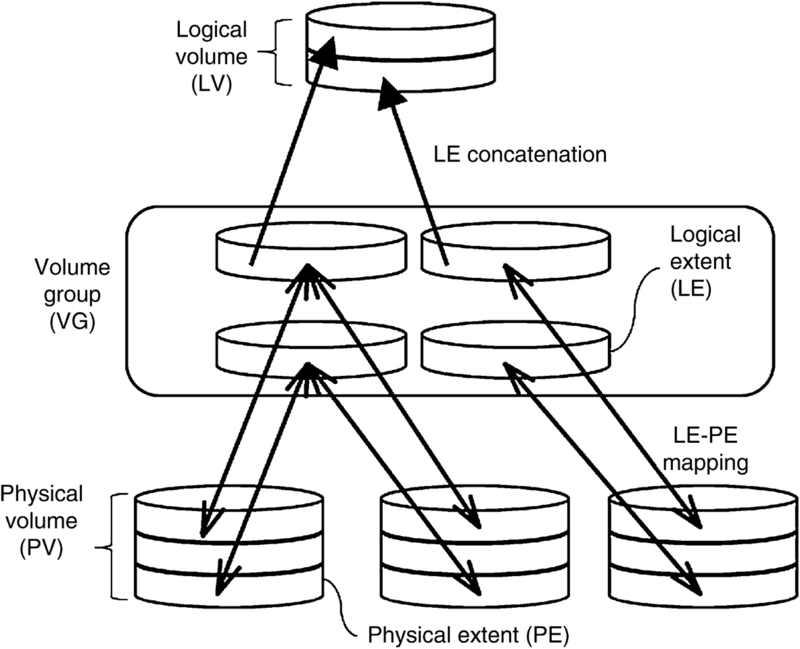 LVM implementations often start with physical volume (PVs), which can be disk drives or partitions. PVs are spilt into chunks called physical extents (PEs). Some LVM implementations have PEs of a uniform size; others have variable-sized PEs that can be split and merged at will.